Julie Boukobza is an independent curator and art critic based in Paris. In 2017 she co-curated with Simon Castets the group show FADE IN 2 at the Museum of contemporary Art in Belgrade. In 2016 she curated the exhibition Pure Fiction at Marian Goodman Gallery and a solo show of Peter Shire at New Galerie, both in Paris. 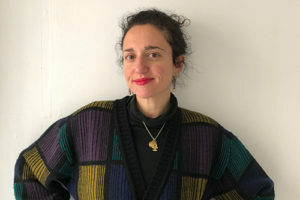 She currently runs the Luma Arles residency program as well as the 89plus residency program at the Lab of the Google Cultural Institute. In fall 2017, she opened an artist-run space with Stéphanie Moisdon and Matthew Lutz Kinoy in Paris.